The Baie-Comeau Drakkar have vaulted to the top of the East Division standings thanks in large part to its high-octane offense. The player who has done the most to drive that offense is winger Ivan Checkhovich. The Yekaterinburg, Russia product, who turns 20 today, continued his torrid scoring pace in December with 10 goals and 20 points in just eight games. Finishing the year on a seven-game point streak, the third year Drakkar veteran recorded five multi-point contests in the month. 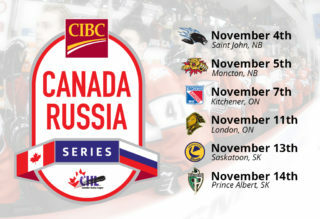 On December 7th against Victoriaville, Chekhovich registered his fourth hat trick of the season, along with an assist, in a victory over the Tigres. He would save his best game of 2018 for last, however. On New Year’s Eve against the Shawinigan Cataractes, Checkhovich put together a seven-point outing, his fourth contest this season of five or more points! Checkhovich, the only person to earn Player of the Week honors on three occasions to this point in the season, enters January sitting second in the QMJHL scoring derby with 64 points, including a league-leading 32 goals, in 35 games. The 2017 San Jose Sharks draft pick has already eclipsed his previous best for points in a season, set last year when he recorded 60 points in 65 games. When called upon to perform additional offensive duty during the month of December, Nicolas Guay stepped up. 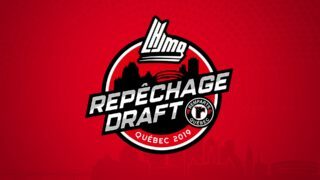 With fellow forwards Maxime Comtois and Joe Veleno suiting up for Team Canada at the 2019 IIHF World Junior Hockey Championship, the 19-year-old winger from Sherbrooke, Quebec helped maintain the Voltigeurs’ spot atop the Central Division standings by recording five multi-point contests. 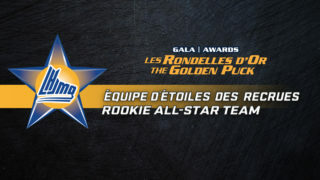 The peaks of this offensive outburst were a pair of five-point contests on December 9th and 15th against the Shawinigan Cataractes and Gatineau Olympiques, respectively. The Voltigeurs’ captain sits fourth on the club in scoring with 43 points in 35 games entering the new year. 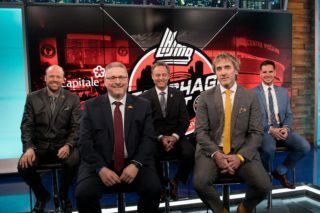 The 2019 Memorial Cup Host Mooseheads catapulted into first place in the Maritimes Division during the month of December. Also on the rise were the contributions from the blueline from Jake Ryczek. The 20-year-old from Ludlow, Massachusetts was held off the scoresheet just once in seven games during the month while also producing three multi-point games. Additionally, playing increased minutes with fellow rearguard Jared McIsaac representing Canada at the World Junior Hockey Championships, the second year blueliner was an impressive +14 on the month while also recording back-to-back game winning goals on December 7th and 8th against the Saint John Sea Dogs and Acadie-Bathurst Titan, respectively. Selected by the Chicago Blackhawks in the 2016 NHL Entry Draft, Ryczek has posted 21 points in 31 games, second only to McIsaac among Moosehead defensemen while his +23 rating ties him with Samuel Asselin for top spot on the club in that category. After taking home Defenseman of the Month accolades in November as well as an Honorable Mention in October, D’Astous still finds himself gaining notoriety during the final month of 2018. He also finds himself leading all “Q” bluelines in scoring by a healthy margin, having registered 49 points in 34 games. December saw the 20-year-old from Rimouski working on a point streak that would eventually extend to eight games. During the month, the fourth-year veteran enjoyed four multi-point outings, including a pair of three-point contests. As well, D’Astous recorded a +10 rating for the month. Breaking into the league as a defenseman can be a tall order for any player. However, Jordan Spence of the Moncton Wildcats has made the transition rather seamlessly, as his second Rookie of the Month Award this season attests to. The 17-year-old from Cornwall, PEI, posted four multi-point contests during the month, highlighted by a three-assist outing against the Cape Breton Screaming Eagles on December 5th, tying the Wildcats’ team record for both assists and points in a game for a blueliner. Additionally, Spence finished the month with a +5 rating while logging key minutes in all situations for a contending Wildcats’ squad. Entering 2019, his 32 points in 39 games places Spence in a tie for top spot in the rookie scoring race while he holds the lead outright in assists for freshmen players with 30. 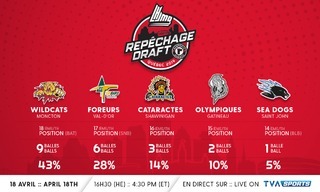 He also sits third overall amongst QMJHL defensemen in scoring. 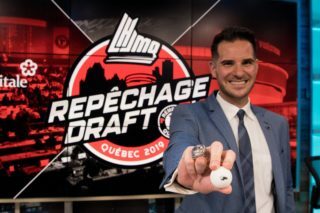 Earning his second Honorable Mention in the rookie category this season, Hendrix Lapierre has done an admirable job proving why he was the first pick overall in the 2018 QMJHL Entry Draft as well as why the future looks bright for the Sagueneens. The 16-year-old from Gatineau, Quebec ended 2018 on a six-game point streak. Against the Shawinigan Cataractes on December 12th, Lapierre registered his first career two goal game. He would duplicate that feat against the Drummondville Voltigeurs on December 29th. He enters the new year with 27 points in 28 games, good for second on the Sagueneens in scoring.